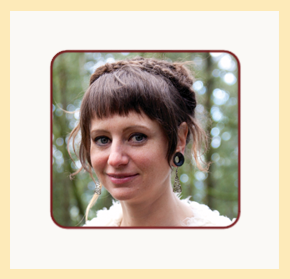 Erica is a classically trained acupuncturist and board-certified Chinese herbalist. She studied at Pacific College of Oriental Medicine in New York City, earning a Master's degree in Traditional Oriental Medicine and graduated as Valedictorian of her class. Erica is a native New Yorker that has spent many years living abroad and traveling extensively, cultivating a deep cross-cultural awareness that allows for the development of trusting, supportive relationships with a wide variety of patients. Erica's unique style blends Classical Chinese Medicine with Five Element Constitutional Acupuncture and Spiritual Herbalism. Combined with her natural intuition and innate sense of compassion, this amalgamation of wisdom surfaces deeply rooted causes of mind-body-spirit disharmonies and guides effective treatment plans tailored to each individual. Erica specializes in stress reduction, digestive harmony, pain management, women's issues, emotional balance, mental health, and recovery from addiction. Erica understands that illness, discomfort, and emotional turmoil are difficult, but she encourages her patients to embrace the silver lining by making long-lasting positive changes with Chinese medicine, lifestyle modifications, and a shift in perspective. Her primary focus is to restore integrity to the mind-body-spirit dynamic to uncover deep potentials in life. Her goal is to restore hope by reviving the body's ability to heal itself.